Fiberglass pool resurfacing services are recommended for pool units constructed of ground gunite, concrete, steel, or block and fiberglass walled with concrete bottoms. People commonly use a vinyl, concrete and paint, or concrete and plaster renovation; but these materials are cheap, require more maintenance, and wear out much faster than fiberglass. Fiberglass coated pools are able to handle all the angles; steps, curves, and other desired features within a pool or hot tub are easily coated by fiberglass. Compared to other resurfacing materials, the fiberglass pool resurfacing that we offer through Fiberglass Pool Repair by Frank will hold up for more years of use and require less maintenance. Not only peace of mind, but the best value. We help keep your pool ready to enjoy for years to come! 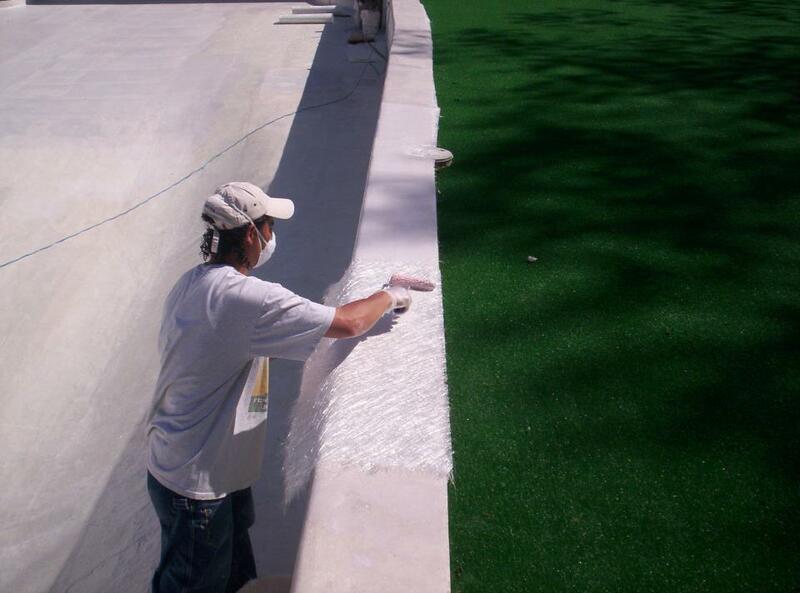 We offer Fiberglass Pool Refinishing, Resurfacing and Repairs. Complete replacement and resurfacing of Fiberglass using Gel Coating. Repair of Existing Fiberglass and Cracks or fissures in your pool. Gel Coating available in blue and white to suit your need.